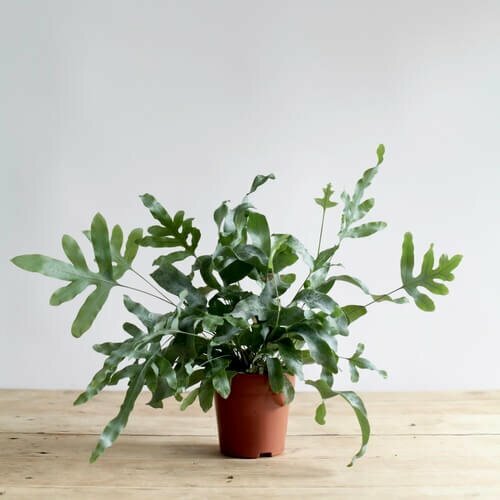 Phlebodium aureum is an ornamental, herbal indoor house plant. It is a rhizomatous fern, with the crawling rhizome 0.8 – 1.5 cm in diameter, densely covered in the golden-brown scales that resembels the common name “golden polypody”. 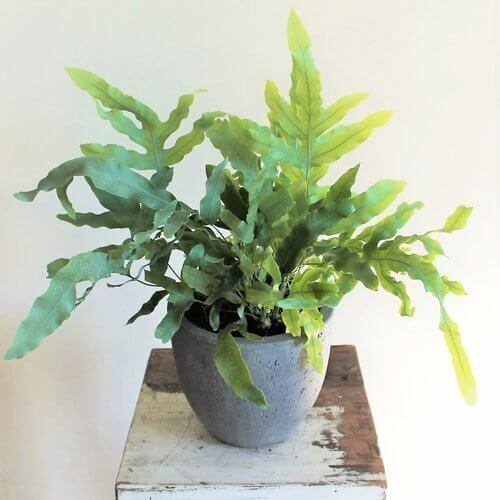 The fronds are large and pinnatifid, from 12 – 51 inches long and 4 – 20 inches broad, with up to 35 pinnae, they vary in color from bright green to blue-green and have undulate margins. It is very decorative on a small table, living room or bathroom or in a hanging basket also ideal for all types of containers. It is one of the best air purifying plant. Synonyms: Polypodium aureum, Polypodium leucotomos. fern, cabbage palm fern, gold-foot fern, hare-foot fern. soil. It prefer the soil ph of 6-7.
with a balanced liquid fertilizer. It is easily propagated by spores and rhizome division.